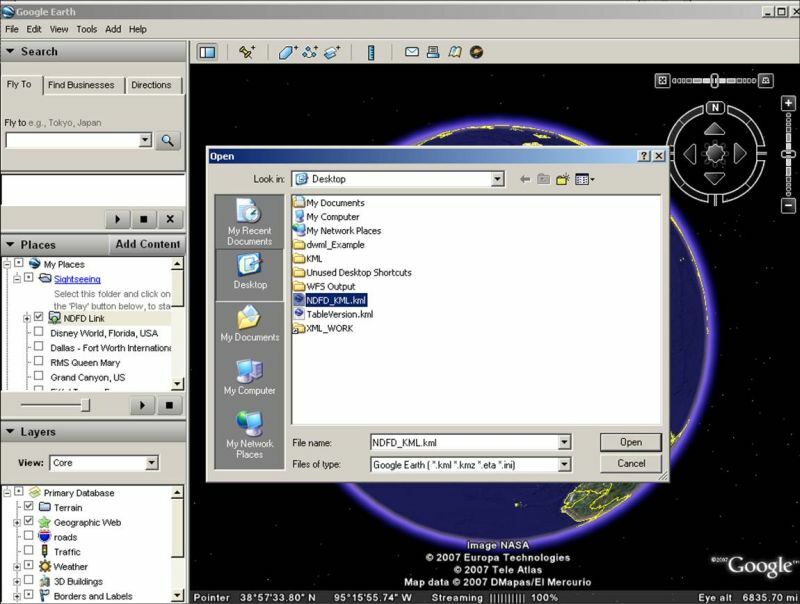 Google Earth allows users to import from files containing data encoded in Keyhole Markup Language (KML). Users can open a NDFD KML file by selecting the Google "File" menu and then the "Open" option. See the image below. To retrieve the NDFD data enoded in KML, on the following page, click on "NDFD Data Encoded in GML for Single Time" (or "for Time Period") and choose "Ndfd_KmlPoint" as the Feature. 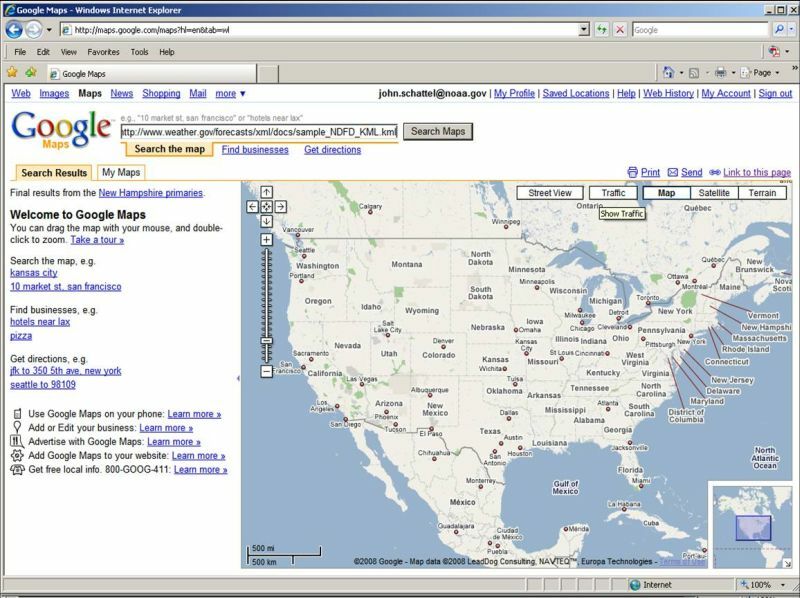 Google Maps allows users to import KML from a URL. 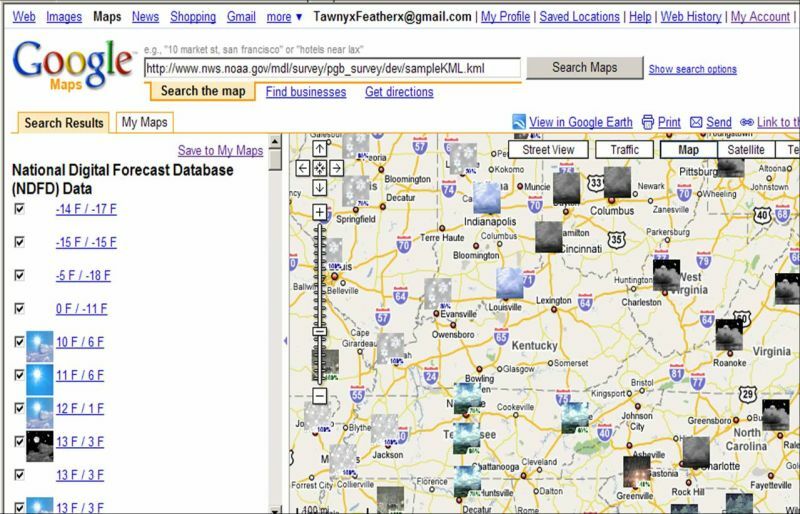 Users can open a NDFD KML file by pasting the KML file's URL into the "Search the map" text box. See the image below. Once the URL is entered in the text box, click on the "Search Maps" button. After a few moments, the KML file's contents will be displayed. See the image below. Users can experiment with a sample file containing a wind speed forecast for selected cities from across the United States.